Timeworn buildings of weather-beaten, patina-aged façades are the very face of New Orleans. The city does not stand only as an antiquated vestige of days gone by, but rather defines itself with architectural expressions of a colonial village surviving the twenty-first century. At times, the esoteric grandeur of peeling paint, faded walls, lived-with furnishings, and exotic, jungle-like flora seems to create the illusion of a fabled city imagined into existence. New Orleans is a haunting portrait, earthen and adorned, prized as a semitropical landmark built from the swamp and defined by urbanity. Inside this bewitching oasis, the architectural characteristics of Vieux Carré are mute testimony to the city’s lifelong love affair with culture and civilization, abundantly en vogue to many eras of ethnic traits. From the birth of La Nouvelle Orléans, the designs of French Colonial architecture were influenced by French Canada and the Caribbean, the domestic houses stylized by poteaux-en-terre which is a constructed frame of cedar logs vertically set into the ground. By the 1770s, these Cajun-style houses advanced into briquette-entre-poteaux utilizing a heavy timber frame combined with an infill made of soft, porous brick. With double-louvered doors, flared hip roofs, and shuttered windows along a porch or gallery to handle the hot sun and heavy rainfall, the French colonists began using brick rather than wood for construction after the fires of 1788 and 1794. By this time, a new style had emerged in colonial architecture as the Spanish introduced the courtyard, a variation on the French gallery but fashioned in the heart of the house rather than on the front. Entering the courtyard by a carriageway cut through the volume of the building, an elliptical arch encases the courtyard. This loggia of thin, stuccoed brick contains a stairway to the upper house, allowing the streetview residence to be used commercially and the interior structures residentially. The anthropological mix of French, African, and Spanish is often referred to as Creole, a term used in many cultural, culinary, linguistic, and architectural variations, distinguishing itself from American culture. Therefore, this unique blend developed Creole cottages and Creole townhouses throughout the ever-growing city of New Orleans. The Creole cottages are small houses with an overhanging gabled roof called abat-vent, allowing protection from rain and intense sunlight. Developed from the Spanish Colonial house, Creole townhouses replaced previous wooden buildings with courtyards, thick walls, arcades, and wrought iron balconies. 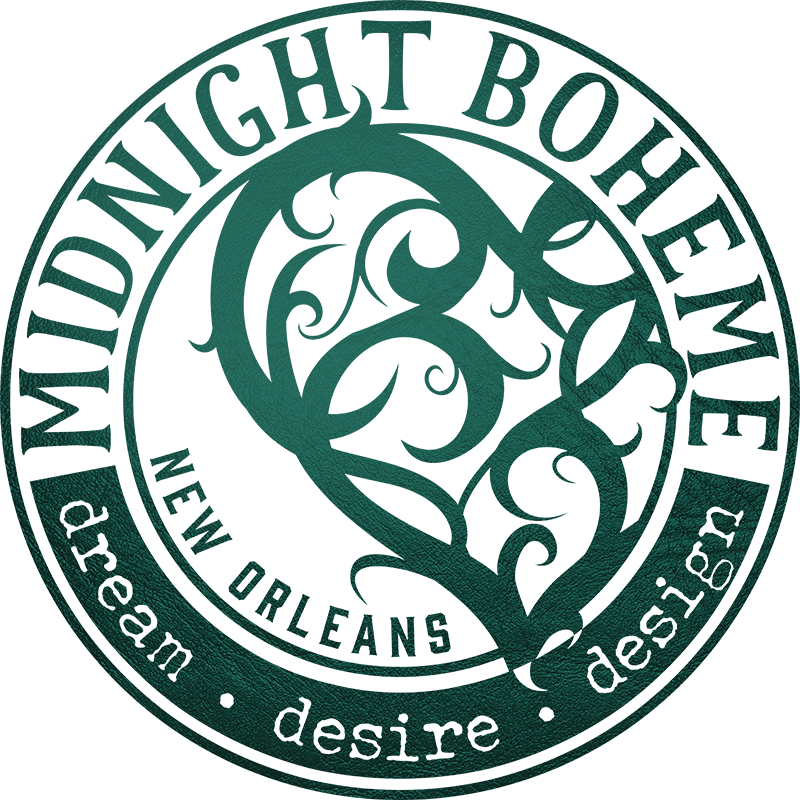 The Creole townhouse has become the quintessential French Quarter building with its public façade overlooking the street and a private, hidden interior surrounding the central courtyard. As the Americans populated the city’s emerging districts, an American townhouse boomed an in antebellum age where balconies were built on three-story structures supported by columns and entablature. Around the same time, a narrow rectangular “shotgun” house dominated the city’s domestic residences. These single-story shotgun houses are raised on brick piers with a narrow porch of columns supporting ornamental roof aprons often decorated in lacey Victorian motifs. Its name is said to be derived from its interior rooms running in a row with no hallways, therefore a shotgun could be fired through the front door and exit the rear cleanly without hitting a single interior door. Cast-iron colonnettes, tropical walled gardens, handsome millwork and crown moldings, shuttered windows with a soupçon of Gallic style, broad overhanging eaves where warm rainwater swells…. These remarkable expressions of historic architecture depict splendor and romance in old New Orleans, for as the world is swept up in its stoic modernism, the beloved buildings and stylized designs of Vieux Carré deliver a rare satisfaction to the eye, the heart, and the humble spirit.